Is Marco Polo the Latest Recovered Missing Serial? On 24 October The Doctor Who Mind Robber pondered if Marco Polo had been recovered. 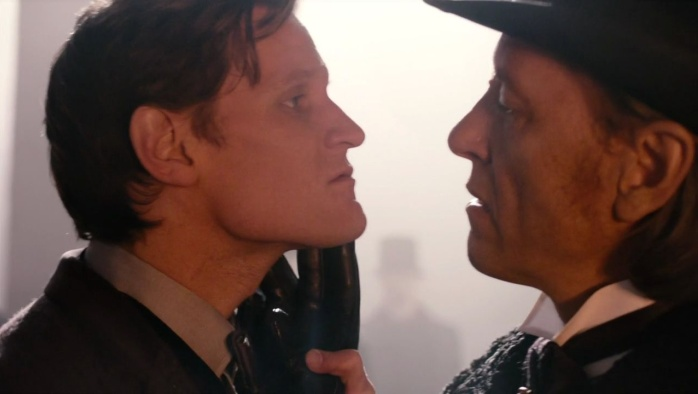 It was around that date that it was first revealed that a reconstruction of part of the much sought after serial would appear in Mark Gatiss’ docudrama, An Adventure in Space and Time. Given the amazing coincidence of the Great Intelligence’s return in Series 7 after a 44 year hiatus and the recovery of The Web of Fear, a BBC marketing missing episodes programme could not be ruled out. Was Marco Polo yet another example of the Beeb self promoting its recovered monochrome product? On the 50th Anniversary of Doctor Who and riding on the extraordinarily positive reviews of An Adventure in Space and Time, now would be the perfect occasion to announce the recovery. Certain external signs are very reminiscent of the days prior to the announced recovery of The Enemy of the World and The Web of Fear. Two UK newspapers, the Mirror and The Telegraph, are both reporting the recovery of the seven part serial. The Mirror is claiming the recovery of a fan recorded 16mm cine recording of all the episodes. The silent recording is said to have been made by recording direct from the television screen using then commercially available equipment. As the BBC already holds fan recorded audio of all missing episodes, restoration has involved dubbing this sound to the audio free film. It was the Mirror which was the first mainstream newspaper to announce the October recovery. 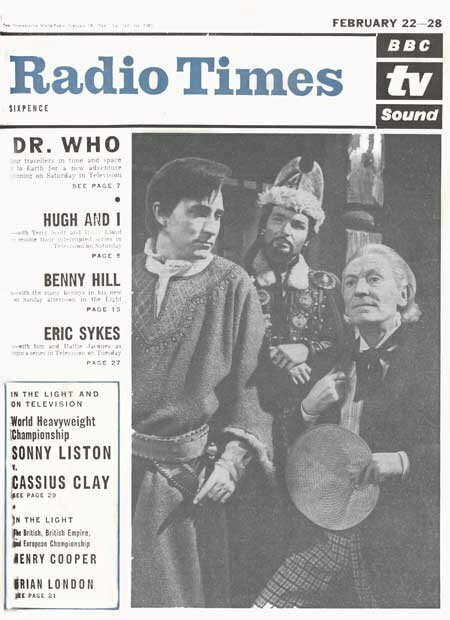 Although their facts were wildly incorrect, within a week the BBC had officially announced the recovery of two serials. Is their a kernel of truth in the Mirror’s claims? 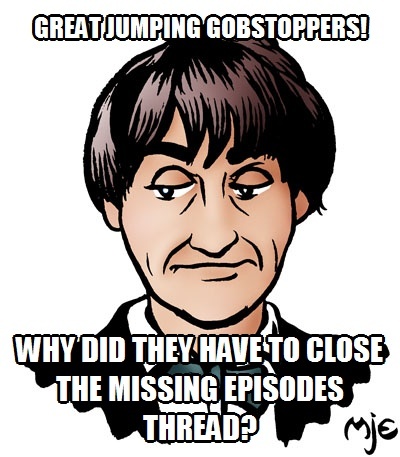 Moreover, several prominent Doctor Who fan forums have closed their missing episode threads. This is exactly what happened in the days preceding the October announcement. Will a recovery of Marco Polo be announced on tonight’s BBC3 Doctor Who Live: The Afterparty? Or perhaps it may wait until the British Film Institute’s Missing Believed Wiped event on 21 December? Only time will tell! I recall reading that ‘recording direct from a television screen’ was the BBC’s method of making a film negative of their videotaped productions. It seems likely the Mirror misinterpreted this professional activity as a ‘fan recording’, whereas it’s difficult to imagine an actual fan being able to do this at home in 1964. I agree that’s a very plausible explanation Perry, although I read on the Marco Polo thread on Gallifrey Base that such machines were available for purchase from the 1950s. I’m just hoping that within the MIrror’s lines there’s actually some truth about the recovery. I think it’s a lot more plausible that Phillip Morris has discovered it during his journeys. It doesn’t sound likely. Although I much prefer the version that Marco Polo has been found, in its entirety, in both Hong Kong and Ethiopia. Thank you Philip Morris. This is a rumour that was “reported” in the Daily Mirror. Don’t believe everything you read. Even if this fan had a 16mm cine camera how much would 16mm reels that could record for 30 minutes at 24fps cost in 1964? 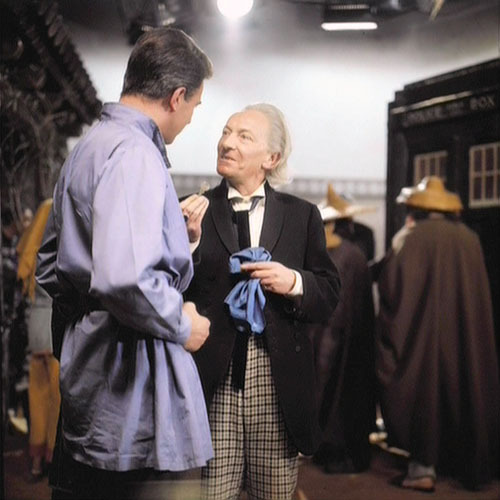 And if he could afford to do it seven times in a row why doesn’t he have every single 1960s DW episodes? This story is just a story, a hoax.